On arrival in Ireland, your group will be greeted by our friendly Guide and Coach Driver, and we’ll start the day in style with a visit to the world famous Guinness Storehouse – to see how the legendary ‘Black Stuff’ is made. This will be followed up by a city tour with some free time, allowing guests to explore at their leisure. After checking into the hotel, the group will have the option of a fun night at the Greyhound Races with dinner. We will check out of the hotel after breakfast and travel up North to Belfast. 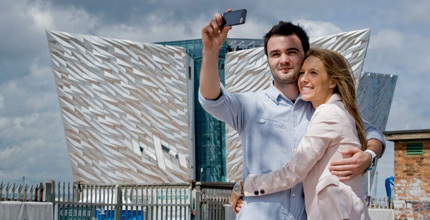 The group’s first stop will be at The Titanic Exhibition Centre – a fascinating attraction which tells the interesting yet tragic story of the world’s most famous ship. In the evening, we will attend the colourful Belfast Tattoo Festival – which showcases some of the finest musicians and dancers from across Ulster. At the end of the evening we will return to the hotel for an overnight stay. Day 3 – Today the group will travel northwards to see the mighty Giant’s Causeway – a true wonder of Ireland and of the world. We will also visit the Bushmills Distillery to see how the brewing process is completed and have the opportunity to sample some local whiskey. From there, we travel to the beautiful County Donegal via Derry City, for dinner and an overnight stay. Day 4 – Once breakfast is done, the group will travel to Slieve League – the highest sea cliffs in Europe, offering some truly spectacular views. From there, the group will go on to Glenveagh National Park where we will enjoy a guided visit of the Castle – which, in 1983, was a gift to the Irish Nation from Sir Henry McIlhenny. We’ll then return to the hotel for dinner, entertainment and an overnight stay. Today’s journey is a step back in Irish history as we make our way to the Ulster American Folk Park in Omagh. Guests will visit the museum which brings to life the world famous story of Irish emigration to the US, and they will love immersing themselves in this exciting and colourful chapter of our history. 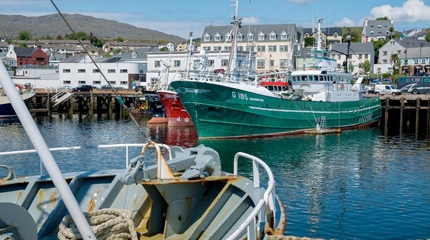 Returning to Donegal, and weather permitting, the group will set sail on The Donegal Bay Waterbus – with the captain providing commentary on interesting local history, accompanied by lively, traditional Irish music. We’ll then return to our hotel for dinner, and an overnight stay. After breakfast, we say a fond farewell to Donegal and make our way back to Dublin – stopping en route at the famous Belleek Pottery, one of the world’s oldest working potteries. 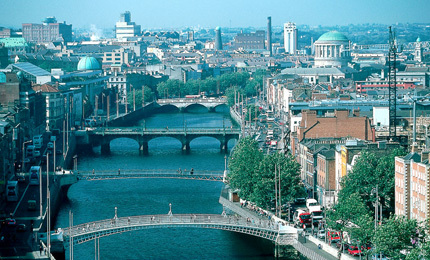 Once we reach Dublin we will have some free time to indulge in some last-minute site-seeing or shopping – before checking into the hotel for dinner and an overnight stay. Your group will be served a Full Irish breakfast in the hotel, before being taken to the airport or ferry terminal for the journey home.